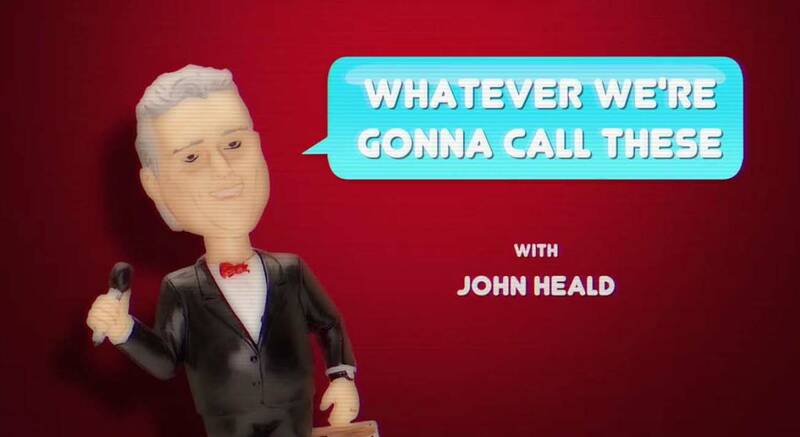 John Heald’s “Whatever We’re Gonna Call These” video series continues with Carnival Corporation CEO Arnold Donald, the latest company executive to be interviewed by the popular brand ambassador. 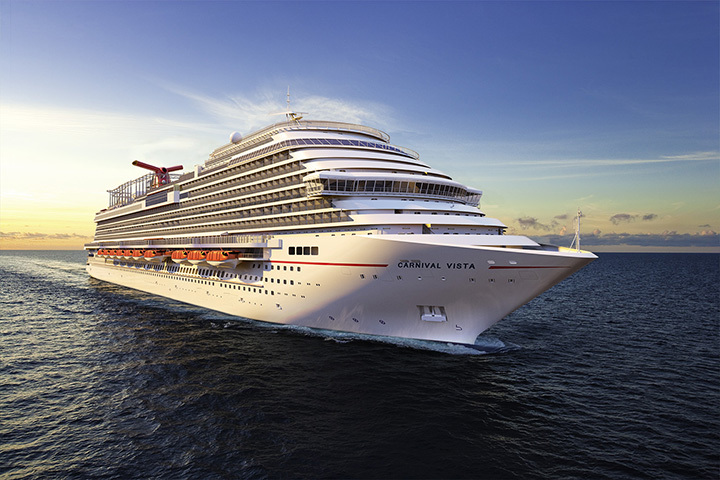 During the interview Heald asks Arnold his thoughts on the new Carnival Vista and even challenges the CEO to a race aboard the ship’s SkyRide, a groundbreaking aerial attraction that will consist of hanging recumbent-like bicycles encircling an elevated 800-foot-long track. The interview with Donald can be viewed here. 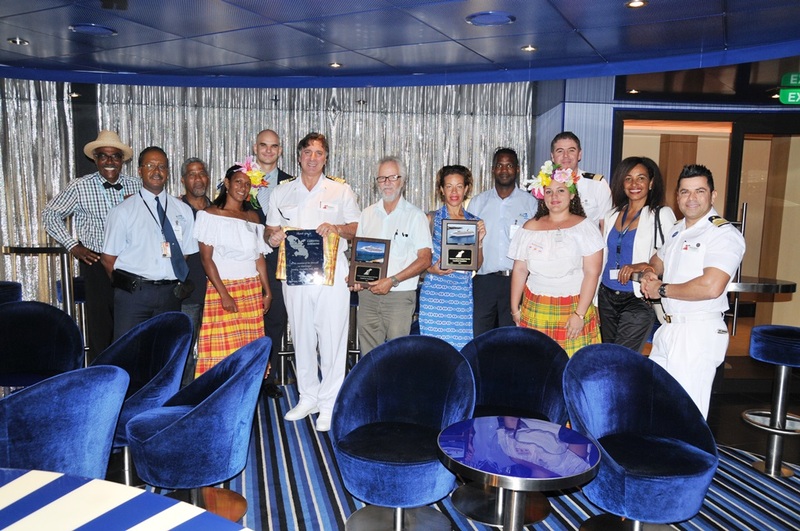 To commemorate Carnival Sunshine’s inaugural call in Martinique, a traditional maritime plaque exchange was held on board between the ship’s officers and officials from the Caribbean island. Carnival Sunshine visited Martinique earlier this week during a 10-day Caribbean cruise that is part of Carnival Journeys, a collection of nine- to 15-day voyages featuring local culinary and entertainment experiences, exclusive team member Q&As and special activities, including a fun-filled “throw back sea day” with retro activities and old school dining options from the 1980s. 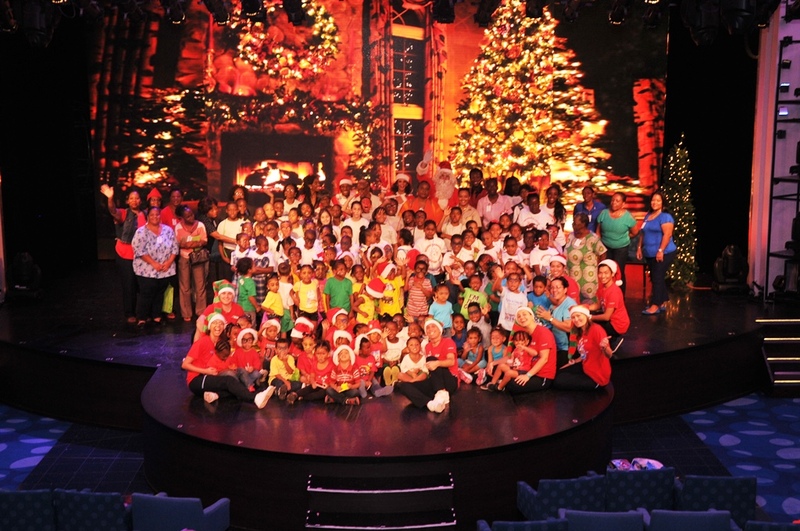 Carnival Cruise Line and its employees, both on board and ashore, are doing their part to make the holidays brighter for needy children this year. As part of their annual support of the Salvation Army’s Angel Tree program, the company’s shoreside employees donated 500 toys and bikes that will be given to underprivileged children throughout South Florida. Shipboard team members are also participating in a gift donation program in conjunction with the Florida Caribbean Cruise Association. 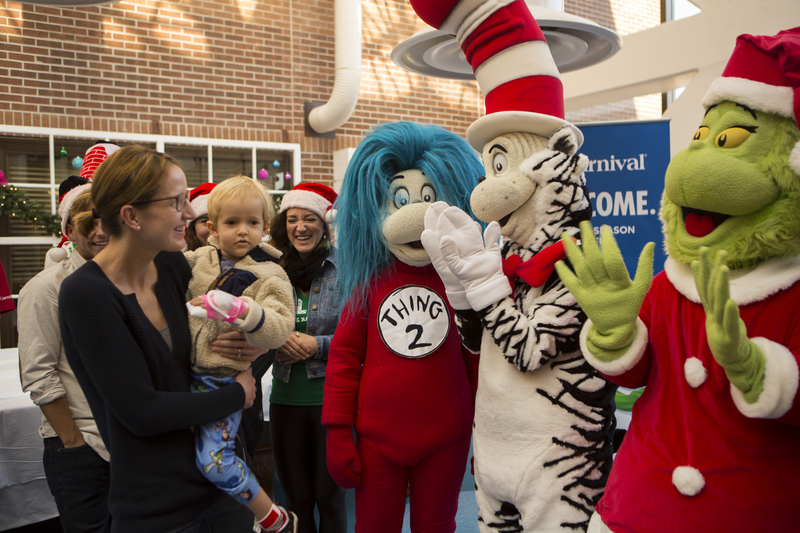 In addition to collecting and donating toys, bikes and games, shipboard team members are visiting orphanages and hosting shipboard luncheons for hundreds of children throughout the Caribbean this year.